North Coastal, San Diego Realtor Maria Segura loves a challenge, especially when meeting that challenge means a client’s real estate goals become reality. Maria offers her clients more than real estate experience and expertise. She brings them her energy, her determination, her competitive spirit, and her beliefs about success. She says that when you start with a positive idea or goal and consistently feed it positive energy, it will become a reality. Her enthusiasm & attitude helps her clients bring their own positive energy to their transactions. She not only explains the buying or selling process in detail, she stays in close communication with them, keeping them informed, letting them know that she’s always working toward their best interests, and giving them reassurance and faith that together they can and will overcome all challenges. Her clients know they can call at any time and she’ll be there for them. 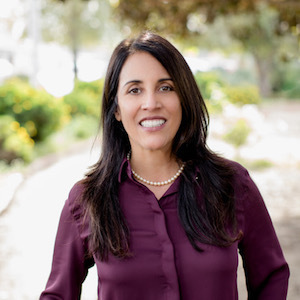 After receiving a BA in Communication Studies from the University of San Diego, Maria began her real estate career in Carlsbad and eventually moved her practice to Rancho Santa Fe to join Brian Connelly & Associates, one of the most successful groups of Realtors in the San Diego area. Her educational background combined with her natural negotiating skill gives her an edge in successfully securing the goals of the buyers and sellers she represents. A strong believer in ongoing self-improvement, Maria consistently participates in continuing education courses. Maria’s drive and focus is also evident in how she spends her leisure time. Daughter of "Hall of Fame" tennis professional, Pancho Segura, Maria has athleticism in her blood! When not faced with an injury her favorite exercise is to run, she has completed 3 marathons and countless half marathons. She works out at the gym, and practices pilates & yoga. She also loves to go to the beach with family, friends and a good book! When you’re looking for a North Coastal, San Diego Realtor who will use her market knowledge, experience, drive, and determination to turn your real estate goals into reality, look to Maria Segura. You’ll soon know why her past clients say they’d never choose anyone else!